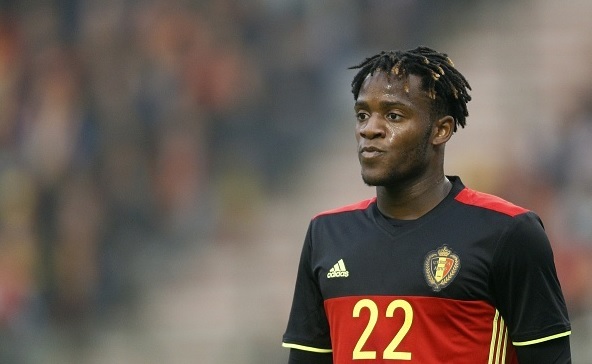 Premier League another outfit Chelsea have entered the race to sign Marseille star Michy Batshuayi, according to SkySports. The Belgian has been targeted by several top clubs including English sides West Ham Untied and Crystal Palace who both have made a bid in the recent days. Batshuayi who netted his first goal for Belgium in his debut Euro game earlier this week has been exceptional for the French side. He netted 17 goals in Ligue 1 last season. The 21-year-old has also been eyed by Tottenham who are planning to get the help from Toby Alderweireld who is his country mate. Chelsea reportedly made a £33.2million which has been accepted by the French club, and the player will be moving to sign a five year deal. It is also reported that the blues will be taking his medical test in Bordeaux in order to seal his deal quickly. Currently, the player is focusing on Euro Cup where Belgium will face Wales in the quarter final round this week. Marseille were keen to keep their star striker but the concrete offer have changed their mind and now they have started to find his replacement for the upcoming season.